Whether you are a buyer or seller, you'll complete your real estate closings with ease when you work with the team at the Law Office of John W. Spoganetz Esquire Professional Corp.
For peace of mind for the future, it is important that you take care of your estate planning and will preparation in advance. We help you make difficult decisions regarding your family and finances. Learn About Law Office of John W. Spoganetz Esquire Professional Corp. Receive the legal services you need for your real estate, estate, and civil issues when you contact the Law Office of John W. Spoganetz Esquire Professional Corp. in Carteret, New Jersey. For more than 25 years, our law office has provided individual attention to each of our clients. 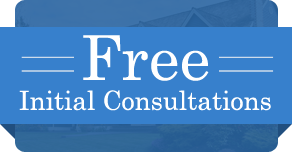 We offer a free initial consultation to determine how we can assist with your specific needs. For your convenience, we also work with you for your civil litigation. From accidents and slip and falls, to medical malpractice and family law disputes, we are here to help in all areas of municipal court proceedings. Contact our law office in Carteret, New Jersey, to use any of our legal services for your needs.